When we started the challenge, we had no idea what to expect. All we knew was quite simple: there was a prize and we had to engage with this challenge in creative ways. It had that treasure hunt feel to it and we were ready for the adventure. Turns out we were correct: we had envelopes, challenges, and places to get to while working around the clock. We were no Fellowship of The Ring – there was no world to save – but Team Red had a goal to achieve and new job opportunities to discover. Here’s the whole party: from left to right – Viviana (English & Film), Guilhem and Craig (Graphic Design), and Dana (Creative Advertising). No rogues here, but plenty of Dexterity Bonus to be able to make the journey around the city, and a bus pass, too! First up: Stills, a photographic gallery. 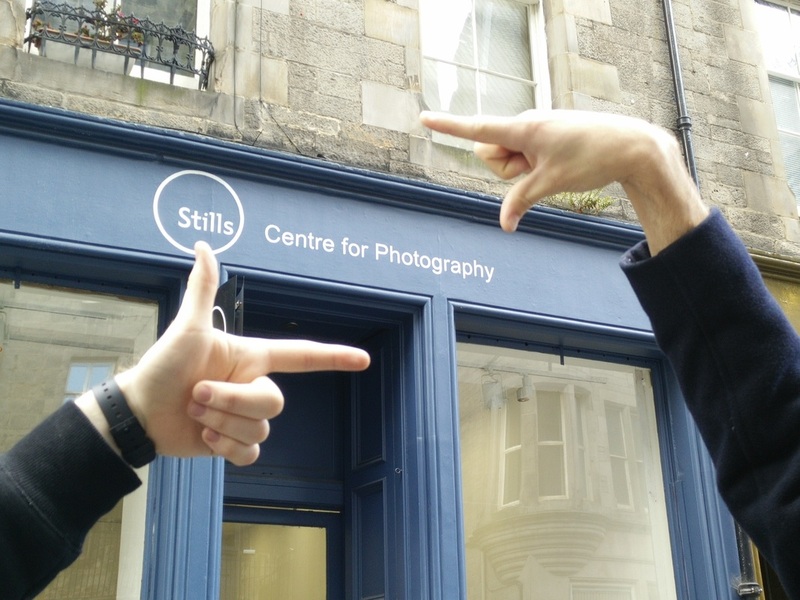 Smartphones are ready, tweets get sent, and we find ourselves in one of Scotland’s first centres dedicated to photography, starting back in 1977. What immediately struck us was the atmosphere: the gallery was quiet, and the walls were clean, white canvas so that the photos could naturally speak for themselves. Cheryl, the programme manager, welcomed us and told us about the gallery. Stills was the first place that gave artists the opportunity to display politically open work. That came across really well with the exhibition of Jo Spence's work, which was on at the time of our visit. The photos made us understand the impact of photography as a medium, and the chance it gives artists to get their message across. ​This was also the aim of the challenge Stills gave us. We needed to respond to the photos we had seen in our own way and take five different pictures around five themes: Big, Small, Colour, Black & White, and Formal Architecture. We took our five pictures, tweeted it out and got a nice response, too. ​The next venue we had was the Traverse, which we reached quickly by popping on a bus. We were quite familiar with it, although we mostly knew it for the festival season in Edinburgh. 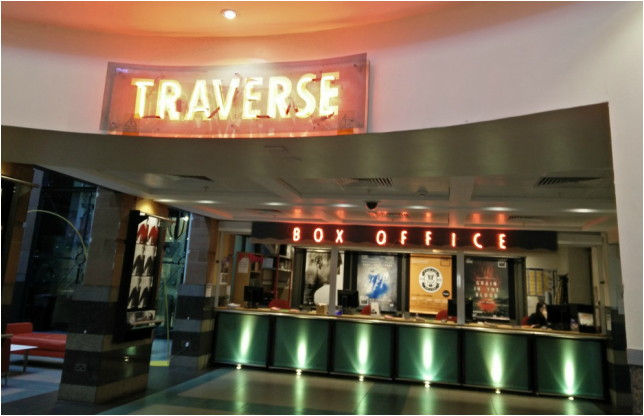 We met Ellen, the development manager, and had a chat about the history of the Traverse and their attention to new ideas and emerging writers. The theatre also offers opportunities in acting, stage management, playwriting and marketing, as well as additional roles during the festival season. ​When we visited the Traverse, Ellen told us about the programme A Play, A Pie, And A Pint, which runs for most of the fall season. What surprised us was their attention to different audiences, and how they used different media accordingly. Since we are quite young students, we are more used to the concept of social media, but we were also reminded of the importance of paper brochures, and, in this way, the chance of reaching a wider audience. This skill was the centre of our challenge with the Traverse; we were asked to find an idea for a campaign while keeping the audience in mind. ​Our idea was to team up with independent coffee shops and have a coffee sleeve on every cup that would promote the show as well as increment trade before lunchtime, especially among students and young professionals. It was great to work in a team with people from different subjects and see everyone’s take on the idea; this was also what Ellen mentioned she enjoys about her experience with the Traverse and how their team is made up of people with different backgrounds. 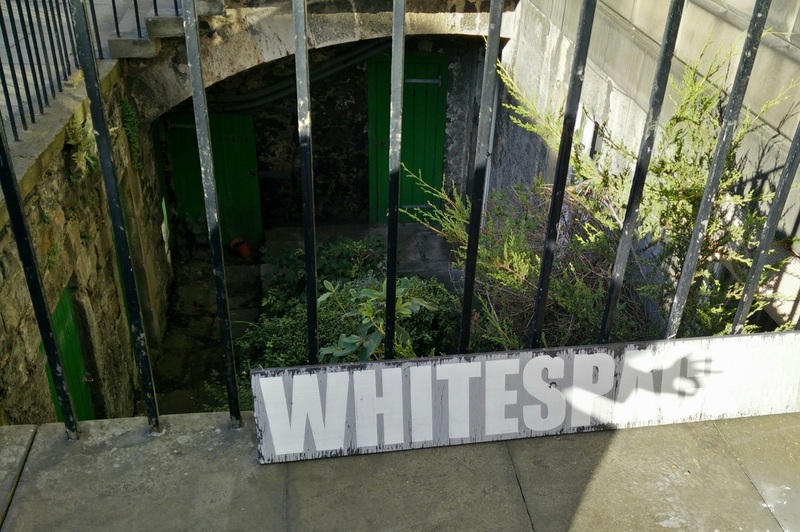 Excitedly, we headed towards our next destination: Whitespace. We hopped on a bus and got off close to Princes Street. Here we were, amazed by the beautiful sign, and the unusual door bell. It asked us to pull gently, and so we did… only to realise we were in the wrong place. We raced across Princes Street Gardens - a great test to our stamina - and in the end we found our way. Let's do this again, shall we? After we got our breath back, Charlie welcomed us to Whitespace. It was interesting to see a creative workplace that has so many members of staff, as well as working relationships with other countries. There are very different media that are used every day, as well as different roles to cover (designers, copywriters, illustrators, producers, digital marketers just to name a few), which gives enough space for internships. Our challenge here was to design a logo and a name for Edinburgh’s first American Football team. It was our two graphic designers’ time to shine! And just like that, the Edinburgh Coos were born. Nevertheless, we made it to our fourth destination, Dovecot Studios, where Aylson, the receptionist, welcomed us. Did you know it’s possible to become an apprentice weaver with no previous experience? Well, it is! Dovecot is not only an art gallery, but it also offers the opportunity of an apprenticeship with their studio and in three years you can become a weaver. Our challenge here was to rethink the museum experience: How can an exhibition become more interactive and involve visitors? 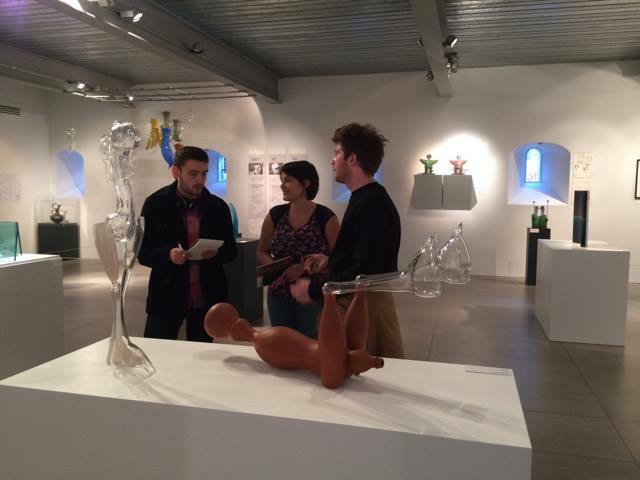 Working with the current exhibition of North Lands Creative Glass: A Portrait at 20, we thought it would be a good idea to create a workshop environment. 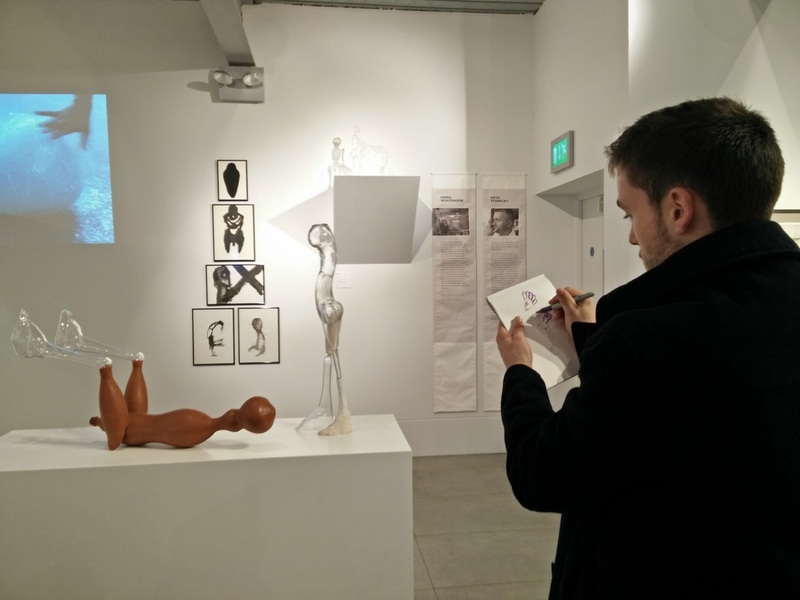 Visitors would have sketchpads and playdough to recreate and interpret the sculptures and art on display. In this way the experience would be particularly appealing to families and children. Time was almost up for us, but we needed to complete one more challenge. We rushed to Banana Row Studios and were welcomed by Jonty. 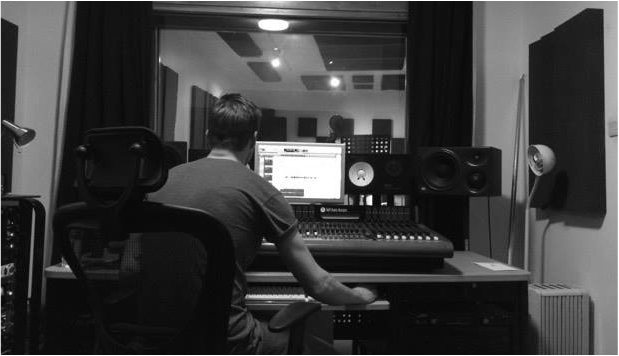 The studio is one of the most popular for music rehearsals and recordings in Edinburgh. It was inspiring to see another workplace where people are really passionate about their jobs. ​One thing that Jonty’s experience taught us was that it’s never too late to work on something you really love. As students, throughout our journey, we get anxious about getting stuck in a job we don’t like, or we get so conscious of time passing that we tend to think it’s too late for a major change in our lives. It was refreshing to have his insight. We also discovered some unknown talents we have! The challenge Jonty gave us was to record a jingle for Banana Row. And there we went, headphones on, guitar in hand, and ready to get into some voice acting. And so, as it often happens in fantasy literature, our final quest was to get to the tavern for some celebratory drinks – which, in our case, was the Drill Hall. 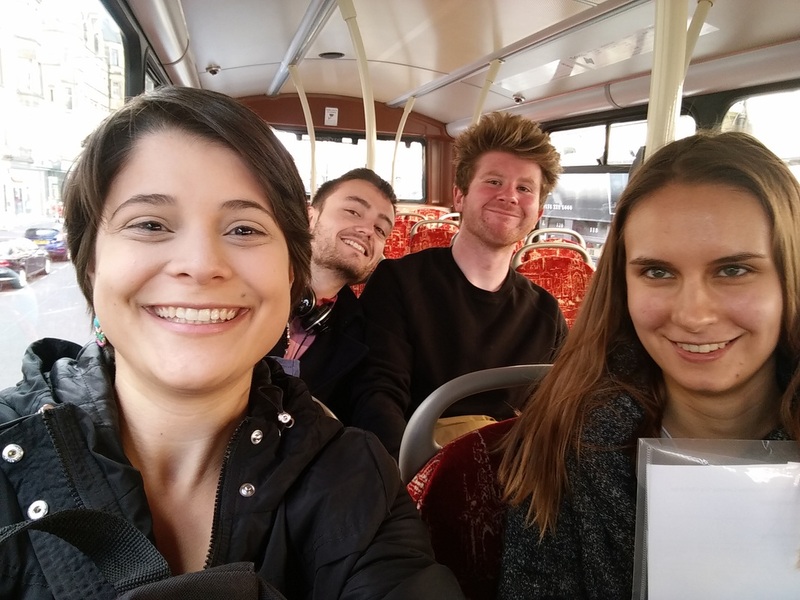 Thanks to Lindsay and Stephanie, Confident Futures, and Edinburgh Napier University for organising this event, which was an original take on employability, gave us the opportunity to get to know so many interesting people and places we didn't know.